My ’40 Fords have not frequented “car shows” very often. They are more apt to be spotted running up and down the highways or running errands around town. Last year, my buddy Larry Krauck talked me into bringing them to display in the KOZL Man Show Expo. I explained that they are definitely NOT show cars, but beaters/drivers. This year, about a week ago, Larry called me and asked me for a favor. I knew the Man Show was coming up, and had planned to bring the coupe down there, and I had just talked to him about that the week prior, so he caught me off guard. 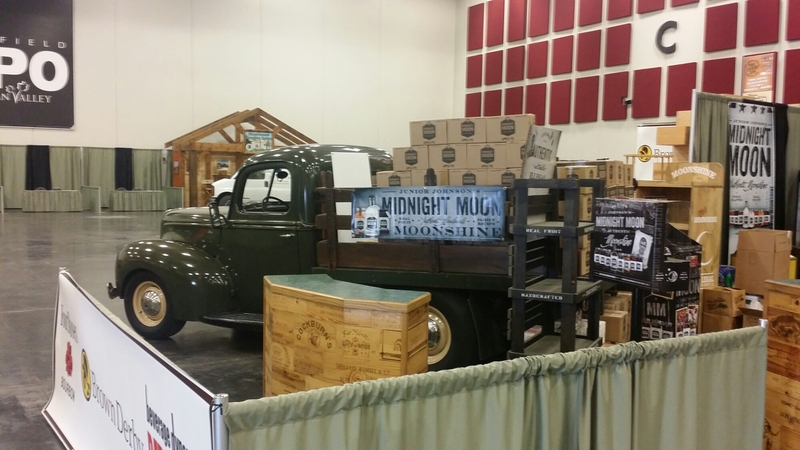 He asked if he could have my ’40 as part of the NASCAR Legend Junior Johnson’s Midnight Moon Moonshine display. 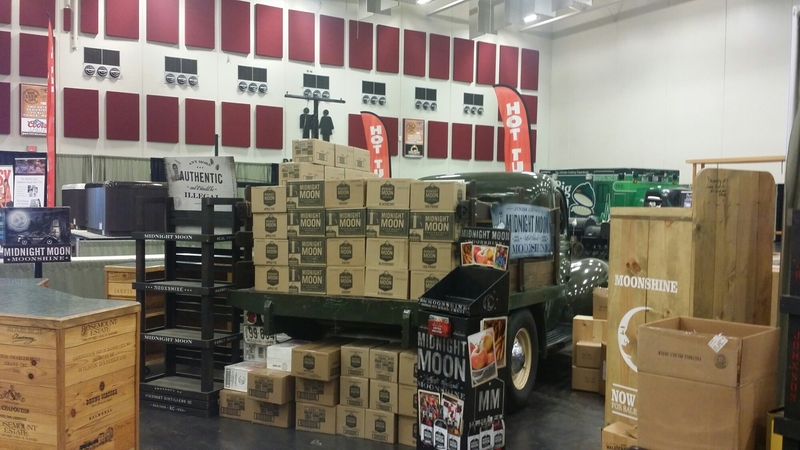 I told him that while Junior owned a ’40 coupe, and those were the primary moonshine running cars, my ’40 didn’t meet the criteria, because it was flamed and had a set of American Mags on it. 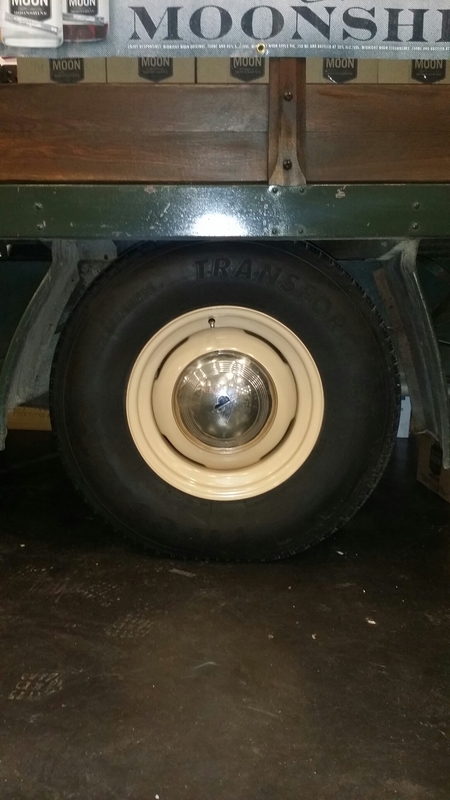 He said, “No…the truck!” Talk about feeling like an idiot! Fast forward to today. 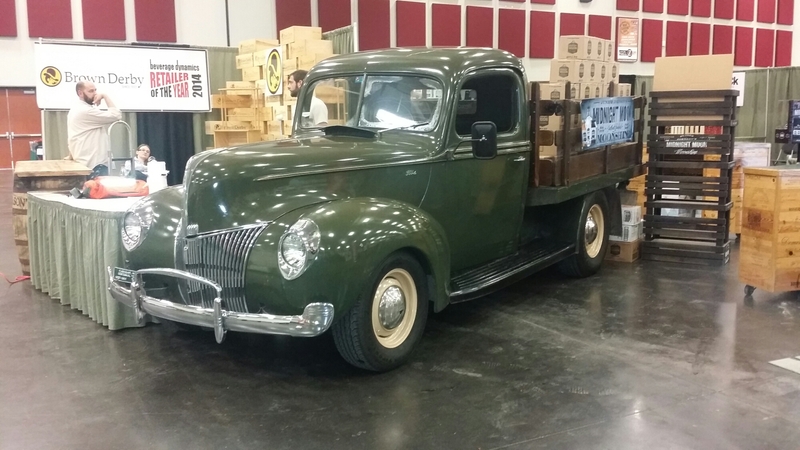 I took the truck down to the Springfield Expo Center and dropped it off, ran home, sat in on a couple of conference calls, then dug the coupe back out to head to the Expo Center and drop it off. 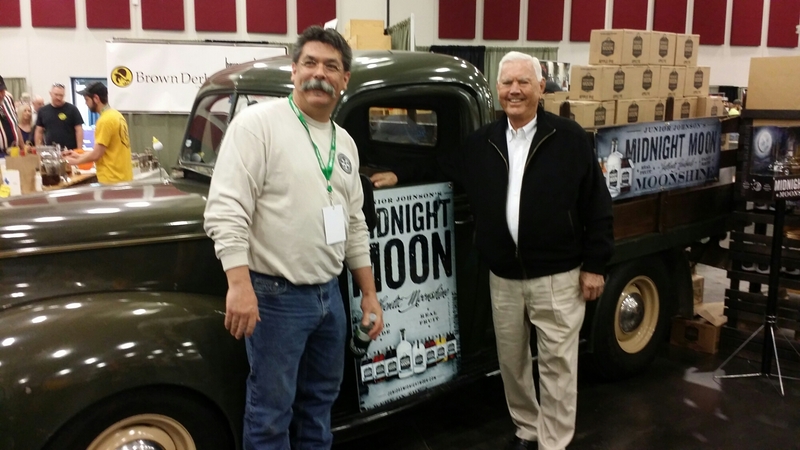 Saturday afternoon, I got to shake hands and meet Junior Johnson, and his travelling crew. Junior was extremely gracious and expressed appreciation for the truck. The guys in his travelling crew asked me to pop the hood (one was a former crew member on the NASCAR team). They did rib me a bit about having a GM Alternator on my flathead Ford motor, but they really enjoyed seeing the truck, too. 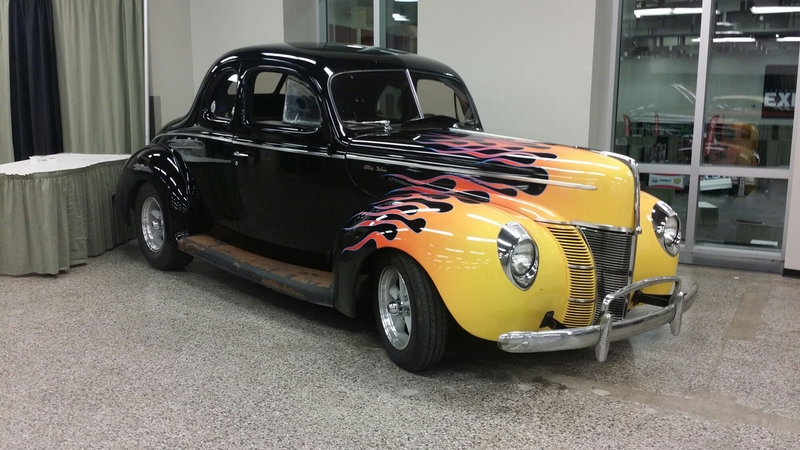 Next planned event for the ’40s will be the 2nd Annual SWMO Hot Rod Hundred!